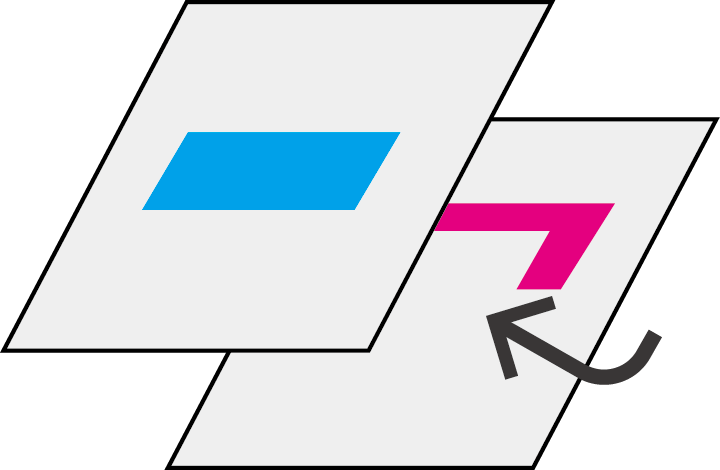 Overprinting refers to the printing of overlapped colours. When the colour in the front is set to overprint, it becomes a kind of transparent and the background colour shines through. Incorrectly setting colours to overprint is a common error in Illustrator files that can produce undesirable results. 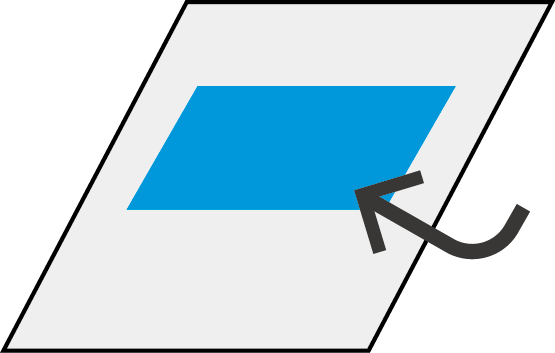 The objects that overlap will mix colours when printed, but the resulting colour or effect is not displayed on your screen — unless you enable some options to check yourself. Still confused? Let’s take a look a closer look. Above we have a business card size calendar design with a white logo and some white text over a solid coloured background. At first glance, there is nothing peculiar or unusual with the artwork. However, upon close inspection, all of the white text and the white logo have been set to Overprint in Illustrator. On screen it looks okay, but what could happen if we this artwork as-is? All the white text and the logo that was set to Overprint is missing! By default, when you print opaque overlapping colours the top colour will knock out the colour underneath it. 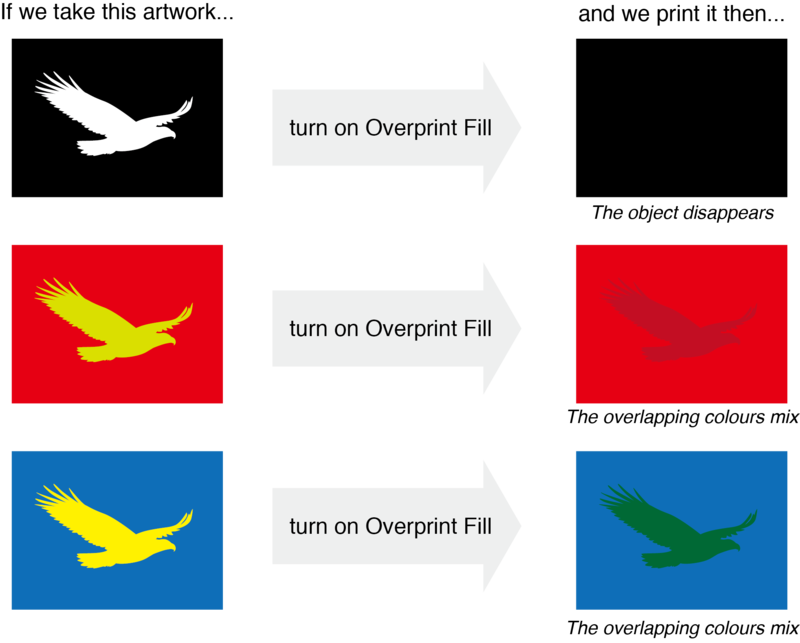 However, when you print overlapping colours that are set to Overprint, the two coloured inks will combine changing the over-lapping portion to a mix of the two colours. 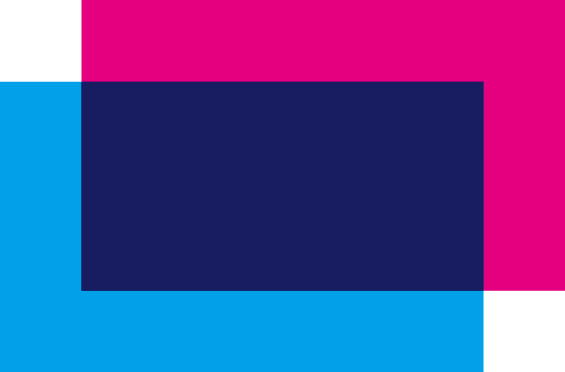 In the example below, when overprinting blue onto pink the overlapped portion turns a purplish colour. the pink box behind it. onto the pink box behind it. Why does the white colour disappear you ask? 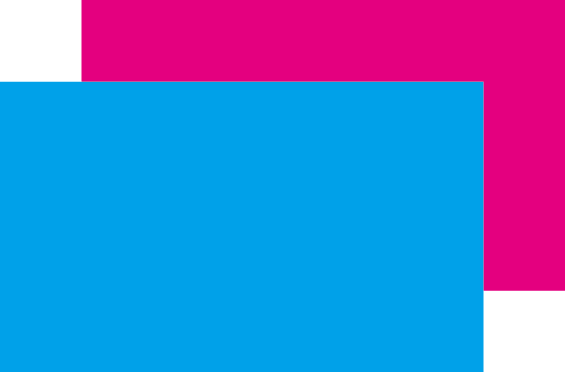 Full colour CMYK printing uses 4 ink colours (cyan, magenta, yellow and black) to reproduce colours. The base ‘layer’ that is printed on is the white paper. 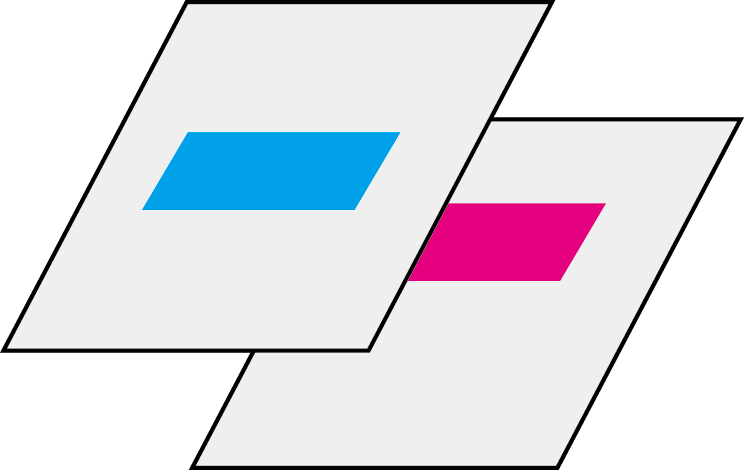 Overprinting overlaps two colours, however white is not a colour because white is the paper. There are no two colours to blend / overlap, so only the blue prints out. 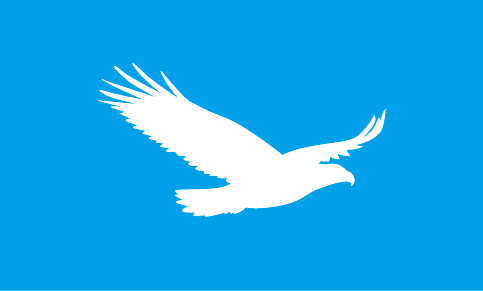 The paper is white and the bird shape was knocked out only the blue is printed. 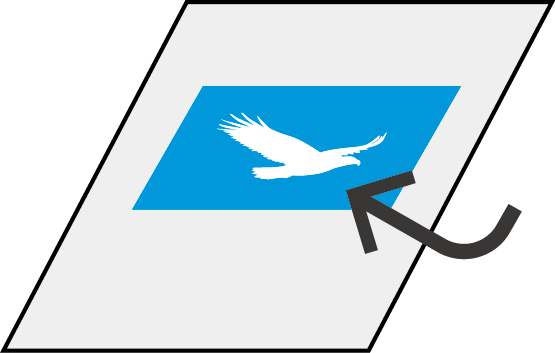 Because the paper is white, when the bird is overlapped, the white colour disappears. Finding and turning overprint off in your data can be the difference between receiving a well made design or an unpleasant surprise. That is, unless you have turned overprinting on intentionally. So, how do you check for overprints? From the Window menu, choose Attributes. Then, select the text or object in your artwork and make sure neither. Please note: We do not check for overprint settings within customer submitted data. Print Arabia will not be liable should the appearance of your printed product change due to a ‘misadjustment’ or ‘accidental’ setting of overprint.